Winter is becoming a distant memory at this point for most of us in the northeast and race season is quickly approaching. Or some of you may have started early and travelled to a warmer climate to start the season. For me, getting away to race is tough. Most of the race season I stay close to home. I only have a few races that I go away for. When race season rolls around I get asked the same question more than once. How do you do it? How do you make everything work and still race? This is a fine balancing act that I try not to upset. I’m first a husband to a great wife, Nancy, who supports me in everything I do. She is the one who runs the house and keeps us on track. I’m a father to two beautiful kids Kirra and Chase. Both kids are involved in activities that require us to be on the run most days. As for work, I run my own growing masonry business. This part requires a lot of my time and energy. I’m on the job site everyday doing the work. To make everything work takes a good schedule and dedication. For me, the race season is split between time trials, road racing and triathlons. In the house, we have a calendar for the month and all the kids activities are on there. Every once in a while there are some changes, but overall it usually remains fairly consistent. So, for me the training and racing works around this schedule as best as possible. 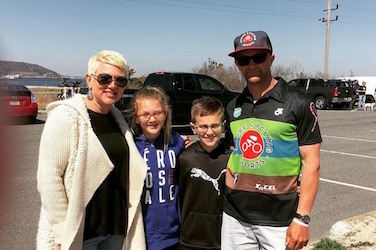 With my training and racing I have always said I don’t want it to take away from family time. 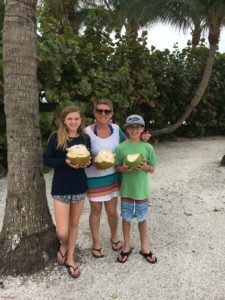 And now as the kids get older and more involved in their own activities, it gets tougher to be there for them and still put in the time I need for training and racing. Each week my training times are different. Nothing is set in stone for me and I remain flexible so I can work around the kids . Most training is done early morning before they are awake. But then there are times when I do the training after work when they are at their practices. The timing works, which is nice, but it takes more dedication to get the workout done after a long day at work. 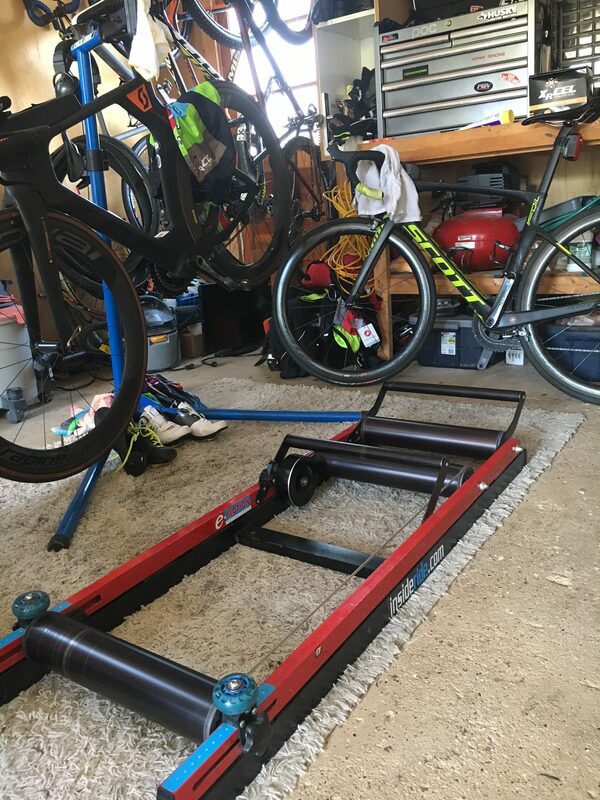 A lot of my bike workouts are done on rollers. I have them set up full time in the garage. Keeping the rollers set up and all my gear right there makes it easier to get the workout in that I need. I have a box of XRCEL right there also. 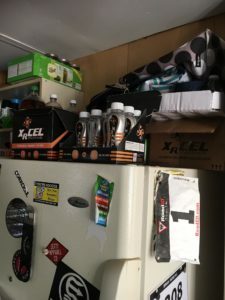 I grab a bottle of XRCEL while I’m getting ready to ride. I keep XRCEL with all my gear and train & race with it consistently. It always keeps my energy levels steady so I never have to worry about my fuel. The one thing with training on the rollers inside is that the workout is very precise. There are no outside distractions to get in the way of the workout. I don’t have to worry about any road hazards, traffic, weather or changing road conditions. The workouts are quality over quantity. It’s also a mental ch allenge to spend time on them when the weather is nice out. That focused work also helps in racing to be able to mentally talk yourself through the pain. My riding on the weekend depends on the kids’ sports schedule. If they have games that are away I’ll most likely ride the bike to the game. This way I get a good long ride in and don’t miss the family time with them. The bike takes up a bigger chunk of time in the weekly schedule. Right now, all the swimming is done in the pool. But as the water temps are starting to rise there will be more open water swims. This is nice because where I live there are many great spots for an open water swim anytime during the day. There are many group open water swims around also. Some are first thing in the morning or there are some after work. I try to fit in a swim, or run, at lunch if possible, if time allows. Most of my workouts can be moved around time wise during the day to make them work. I know I’m not the only one out there that has to deal with this. We all have crazy schedules that sometimes get in the way of training. But as most of us out there on any race course, we do this for fun and to challenge ourselves. And that’s what keeps us coming back each week! For me, the current race season start has had a few hiccups. I like to start the race season with a few TTs. It gives me a good base line to see where the fitness is at. First race on the schedule was a local time trial. We had a storm roll through the day before and dump 2”+ of rain and it was windy. The race director had to make a tough call and cancel the race. The weather the next day was ok to race but the roads were messy. Second race was a time trial also. I was on the fence about going as I had a tough week at work and missed a few training days. Anyway, I started to get things together to go. Normally I can get things together fairly quick. After many races the list of things I need is to the point. I had everything in the bag ready go. The weather was going to be overcast and the last thing I wanted to do was to change and clean the lens shield on the TT helmet. I have a POC TT helmet that has clear lens and a lens for bright sun. As I open the bag for the helmet to my surprise – no helmet! At 9pm this was not good. I looked around the garage to see if I put it somewhere different. It was nowhere to be found. The last time I had worn it was at Delmo Sports Ironman AC 70.3. When I went to clean up my stuff I must have forgotten it. Not a piece of equipment you want to leave behind. Made for an even more costly race! I have a backup TT helmet which i don’t really care for because at certain head positions it whistles inside the helmet. This can make for an annoying race. At this point it was well past 10pm and I decided to bail on the race. On to the next one. Up next for racing is The Xterra off road triathlon on May 20th at Waywayanda State Park. After that a sprint tri. These are both warm up events for the Escape the Cape triathlon on June 4th. In between the races are all the family things going on. The kids keep us busy! XRCEL can come into play here also. Grab a bottle of XRCEL to keep up the energy levels for the rest of the day. We have track and soccer games every weekend. Also, the everyday running around with the family is always there. And work is an ever changing schedule. The one big thing that can disrupt the schedule of a mason is weather. A few days of rain and I can get behind real quick. If this happens it may require a few extra hours each day on the job or working weekends to catch back up, this in turn cuts into potential training time. The season is off to an interesting start and not necessarily going as I originally planned, but remaining flexible and always dedicated to finding a way to train and compete has helped me find ways to still achieve my goals. The kids, meanwhile, remain on their schedules and I find ways to be there for them which ultimately is the ideal scenario. Again, many thanks for all your support and encouragement.